Lorna Flamer-Caldera, DDS, FAGD (New York) - Book Appointment Online! 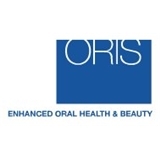 ORIS unites exceptional holistic dental standards with fine aesthetic sensibility to care for you in a gentle environment. For over 20 years, I have fluidly united my expertise in fine art, medical illustration, and teaching with extensive training in dental sciences in order to provide comprehensive diagnoses, appropriate options, technical excellence and outstanding aesthetics to her patients. As President of the AGD NY, I am also committed to educating the public on prevention and wellness, diabetes, pregnancy, nutrition and heart disease as well as treatment for oral conditions. Now you can look and be your best just by smiling! If you have ANY PPO plan YOU CAN STILL COME TO US! We will happily file dental claims for you! IF YOU WOULD LIKE A DENTAL CLEANING, PLEASE CHOOSE DENTAL CLEANING FROM THE DROP DOWN BOX. WE REQUIRE 24 BUSINESS HOURS NOTICE FOR CANCELLATIONS. As a brand-new patient, I was given an emergency appointment the same day I called—and on a Friday. And amazingly, I was given a second appointment to finish the post-impression procedure, still on the same day! Dr. Flamer-Caldera was terrific, with extremely tuned-in bedside manner and very gentle touch. I had complete confidence in her commitment to good health and excellent, artistic work. She couldn't have been more accommodating; her staff are also fabulous!